Providing bats with a roosting habitat benefits you from having fewer yard and garden pests. 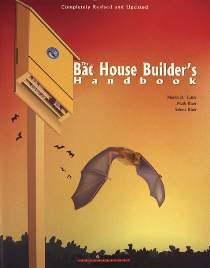 Bat house plans, secrets of bat house success and provides Bat Conservation International membership information. 36 pages, 8 x 10, paperback.